Take part in Clubs and Organisations Day! 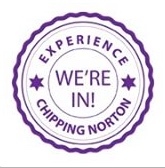 Chipping Norton Town Council is holding its annual Clubs and Organisations Day at the Town Hall on Saturday 24 January, between 9.30am and 6pm. If you’re a club or organisation based locally, and you’d like to have a stand to tell others about what you offer, get in touch with the town clerk’s secretary at the Guildhall, or telephone 01608 642341. Alternatively, if your New Year resolution was to join a new club, or start a new activity, why not come along on the day to find out about the variety of things you can do in Chippy? Chippy News will have a stand at the Town Hall, so if you’re a budding reporter or photographer, come and talk to us about joining your friendly local newspaper! This entry was posted in advert, local services, news and tagged Chipping Norton Town Council, Chippy News, New Year resolutions, Town Hall. Bookmark the permalink.